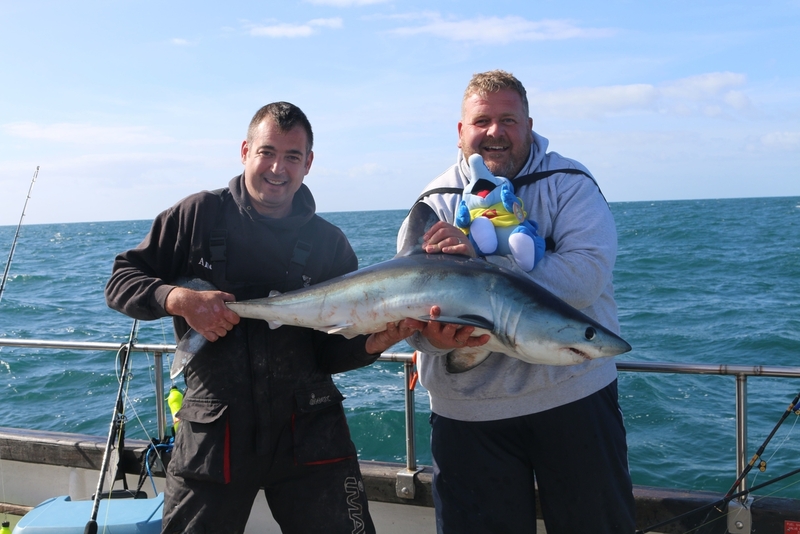 With more and more shark sightings along the Dorset coastline in recent years, it only seemed right to give shark fishing trips a go. Following a number of successful trial trips in the 2017 season where we caught and boated plenty of sharks we are now offering a number of sharking trips in 2018. Our boat is the perfect tool for targeting large sharks with its large landing door and outside controls allowing the skipper to keep the boat off the line at all times. Rods and reels can be supplied on request. Bait included in trip price. 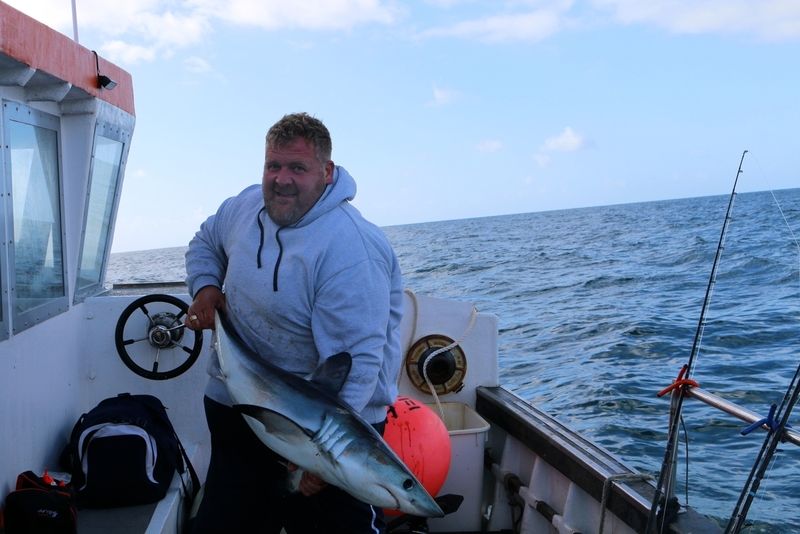 If you would like to find out more about Shark fishing from Weymouth or find out what tackle you will need, please contact us.